We’re going to be seeing a lot of films at Sundance this year, but as any festivalgoer will tell you, you can’t see them all. 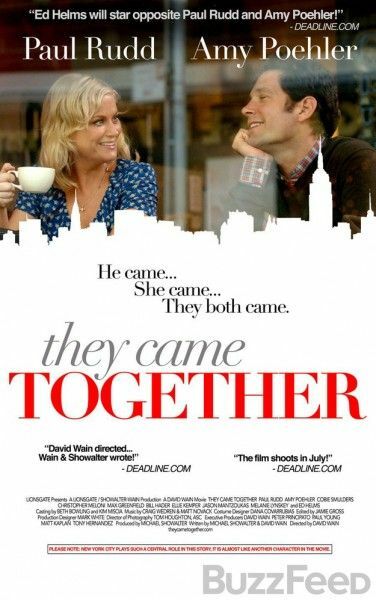 Scheduling complications always come into play, but it still stings that we’re going to miss David Wain‘s latest, They Came Together. The rom-com send-up stars Paul Rudd and Amy Poehler, and as you can see from the first clip, this is Wain operating in the absurd style of The State, Wet Hot American Summer, and Stella rather than his more traditional features like Role Models and Wanderlust. Also, the poster will easily be one of the best of 2014, and I hope it gets used in the wide release. Hit the jump to check out the poster and clip. The film also stars Ed Helms, Cobie Smulders, Max Greenfield, and Christopher Meloni. 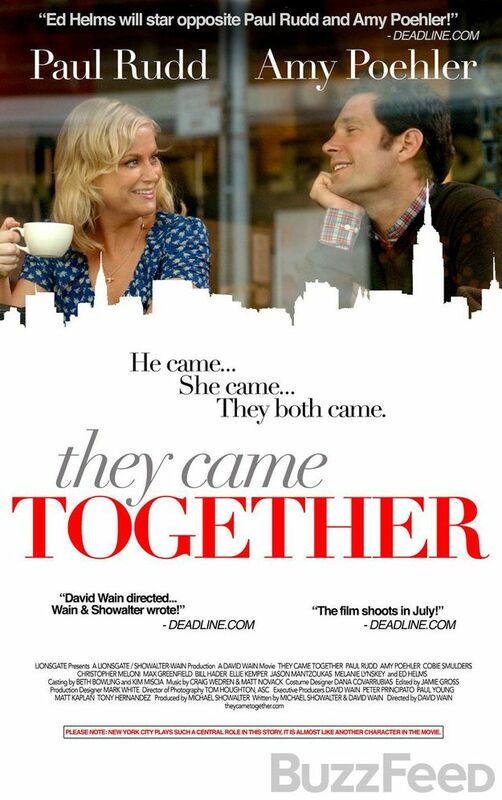 They Came Together will make its world premiere at Sundance on January 24th. After having already made world-changing cinematic statements on adolescence (Wet Hot American Summer), religion (The Ten), service (Role Models), and community (Wanderlust), I teamed up with Michael Showalter to take on a topic that (to our knowledge) has yet been seen in the movies: ROMANCE — particularly heterosexual romance between two white people. Our next idea was to mix this romance story with humor – so you could almost call this a Romantic-Comedy, so to speak. We first worked with Amy Poehler and Paul Rudd on Wet Hot American Summer. They played summer camp counselors in that movie, so it was obviously hard for us to imagine them playing a shopkeeper and a corporate executive, respectively. But thanks to a team of acting coaches and an award™ winning VFX team, we pulled off the illusion.